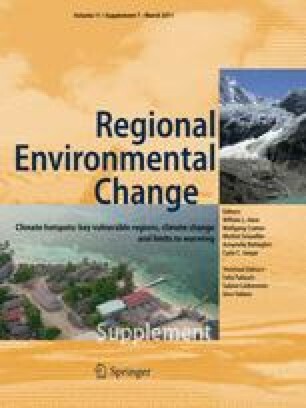 This paper explores the risks that climate change poses to food security in the islands of the South Pacific. It shows that climate change will adversely affect food systems in the region, including the supply of food from agriculture and fisheries, the ability of countries to import food, systems for the distribution of food, and the ability of households to purchase and utilize food. In these ways, climate change puts at risk the very basic and universal need for people in the islands to have access to sufficient, safe, and nutritious food at all times. It is argued that for people in the South Pacific, the risks climate change poses to food security constitutes a ‘dangerous’ change in climate. Research for this paper was supported by the Australian Research Council Discovery Project DP0556977.